In Central Park, a statue pays homage to Dr. J. Marion Sims, a pioneer of gynaecology who founded the New York Women’s Hospital, the first hospital expressly for women. He is described on the statue’s plaque as a philanthropist who advanced the reputation of American medical practice throughout the world. This influential doctor is also memorialised elsewhere, including on State House grounds in South Carolina. A statue is a melodramatically posed likeness of a single person, often designed and made decades after their death. That is not history. People advocating the relocation of confederate statues aren’t trying to erase history; they’re giving voice to a more authentic one. It’s not a question of whether Dr. Sims and the confederacy existed, but of whether they deserve honour. I’m not suggesting history is relative and that people can take from it what they want to. I’m saying it’s big, and that people will try to take from it what they want. We have to constantly watch out for that. With their ability to portray multiple facets of an event, maybe books are some of our more effective memorials. I read Uncle Tom’s Cabin when I was ten, already intrigued by the period. The idea of the Underground Railroad drew me; the excitement of escaping slavery. Even after reading Harriet Beecher Stowe’s novel, which doesn’t exactly gloss things over, I could not have grasped the magnitude of people for whom there was no escape. It’s still hard to imagine the despair of living in that situation for generations. Gheluvelt WWI Memorial. 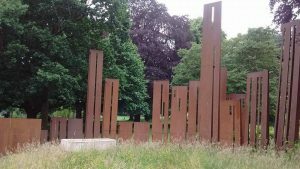 Each column represents two months of the war, while just one centimetre of height represents 500 casualties. What statue, memorial, or even work of literature can convey the suffering of possibly millions of slaves? Comparatively speaking, I have not much considered the stories of confederate soldiers: ordinary, often poor men persuaded or conscripted into a horrific war. Some of the statues being removed are also memorials to those men, engraved with names of the town’s dead. Does bravery for a bad cause still deserve honour? It’s easy to imagine that a lot of those names refer to decent people, so I sympathise that those memorials mean something to their descendants. But they aren’t the only piece of history. Some confederate statues are put up on former slave auction site. Hang on, who sacrificed what here? Surely the ones in chains, sold to bolster a white economy, should be remembered. It makes sense to relocate confederate statues to museums or private collections. Government and municipal buildings may sometimes showcase only one side of history, but let’s attempt not to use such a jagged-edged fragment of it. In Bristol, UK, near where I now live, a venerable music hall is soon to be renamed. It was called Colston Hall, after a city benefactor (or at least, after the street that’s named after him). However, that philanthropist was also heavily involved in the slave trade, instrumental in the kidnapping of 85,000 Africans. I doubt many people attending concerts at Colston Hall will notice the name change. Before the renaming campaign, most of us didn’t have a clue who Colston was. Similarly, how many times do we encounter a statue in a park or town centre and actually read the informational plaque, however sparse and biased? There’s not so much honour in being a statue, loved more by pigeons than anyone else. These days monuments tend not to be statues. We’ve moved on in our attempts to portray the gravity of a tragic event. The World War I memorial in Gheluvelt Park, Worcester, represents the number of casualties in every month of the war. It introduces a staggering sense of scale. 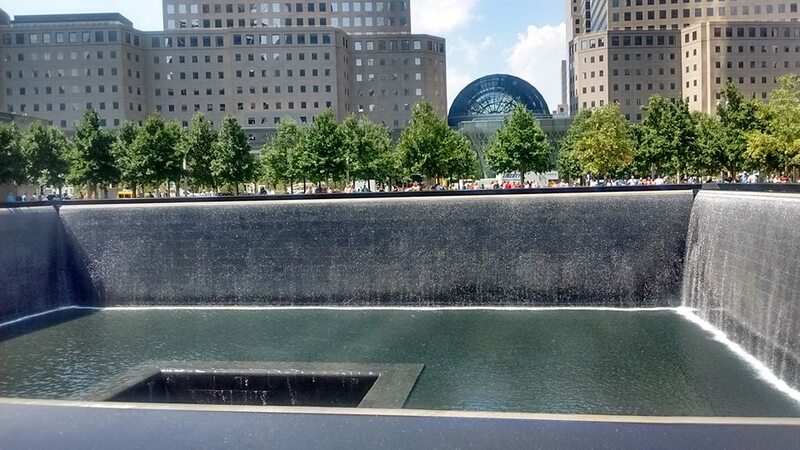 Other recent monuments encourage reflection. 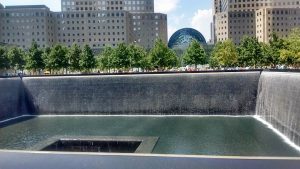 The pools at Ground Zero and Oklahoma City—my uncle called the latter the most memorable thing he saw in an entire cross-country trip. Could there possibly be such a memorial to slaves? Could we replace the likenesses of individual confederate figures with a confederacy monument that recognises its bravery yet also the brutal ugliness of its cause? I suspect a truly effective version of either one of those things would be more than just a statue.